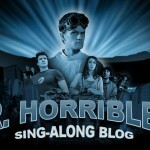 This is something I have twitter to thank for – I stumbled on it from some random tweet, watched out of sheer morbid curiosity (it starts out like a vlog… Neil Patrick Harris as Dr. Horrible reading his email). It was once the singing kicked in that I loved it. It’s like “The Tick” from the villain’s point of view – just trying to be recognized as a villain, and have a personal life. I can’t say too much, but if this is where the future of generated online series goes – I’m loving it. The idea was to create something small and inexpensive, yet professionally done, in a way that would circumvent the issues that were being protested during the strike. Previous post: MooTools Forums are back! – Unofficially, that is.